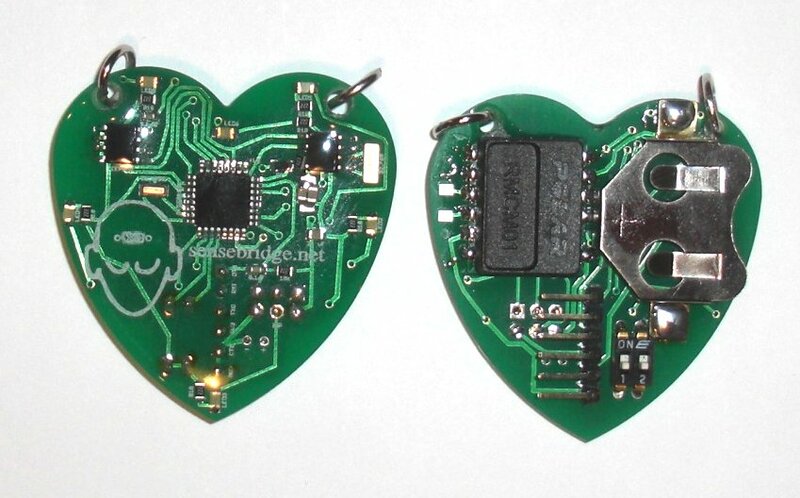 Sensebridge is a little board that logs up to 61831 heart beats, about 14 hours of data. It is based on a atmega 168, a Real Time Clock, and 512 Kbit EEPROM. And it’s released open source. You’ve link the “open source” term to SenseBridge NorthPaw project, which is a great project too, augmenting you reality with vibrating motors on your ankle to notice you – all the time – where the North is. Thanks for the link alexandre, I’ll update it.